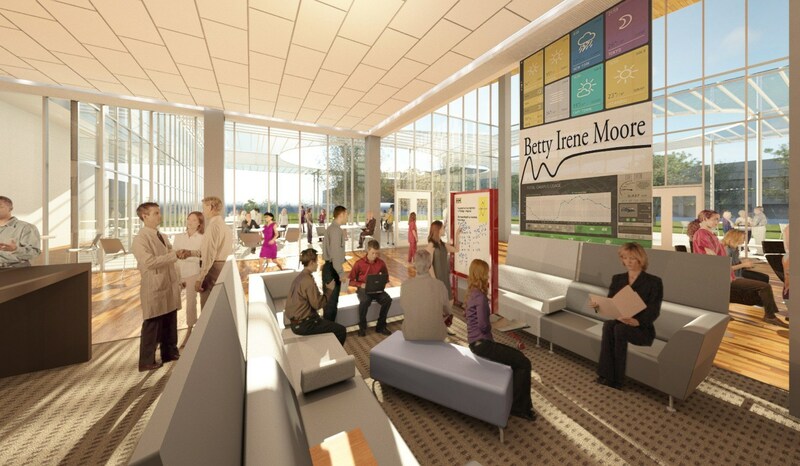 Phase I of the Betty Irene Moore Hall provides state-of-the-art facilities for health science education, including new technology to enhance learning. The building is designed to foster interdisciplinary and interprofessional education with other campus education facilities, and to create a welcoming environment that serves as a magnet for students, faculty, staff, and other health science professionals. 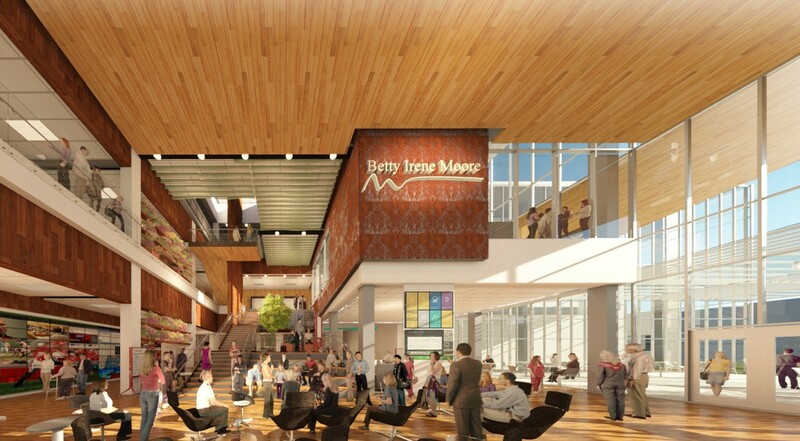 The building features collaborative learning spaces rather than traditional classrooms. State-of-the-art simulation suites engage students through interactive learning platforms and further the school’s capacity to advance health and transform healthcare. HGA performed the programming, Phase I design concepts, and served as the Master Architect for the project.